Each of the social media sites has its own unique features, strengths and functions, but one thing they all share is the requirement of engaging, memorable content. The practice of interrupting consumers repeatedly with advertising messages speaking at them is simply no longer sufficient. It has become vital that businesses create online content as a pillar of their marketing strategies. 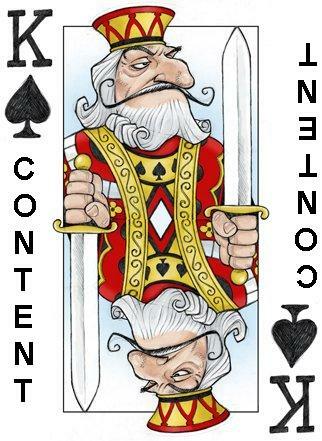 So, what exactly is content? It’s a general term that refers to anything that is uploaded to a website or the social media sites. Good online content that generates successful online marketing campaigns is not advertising. It’s information and/or entertainment. The key to online content is that it speaks to its target audience. Great content converts browsers into buyers and existing customers into forever customers or advocates. And the way to accomplish this is to ensure that the content is ENGAGING. Consumers have to care about the content they’re reading – they have to want to share it with their network of contacts. Very engaging content will not only generate sales, but will also position your business as a reliable source of information – the very authority of the industry. Well-written online content must include vital information your clients or prospects need to know. As a real estate professional, you can share industry-relevant news and up-to-the-minute information that your clients and prospects need to be aware of when making decisions regarding buying or selling their homes. You might want to blog about frequently asked questions or concerns – i.e. What are the schools like in these areas?, What is the crime rate like here?, Is this development on a landfill? Is this area likely to be subject to “intensification”?, What other community resources are there?, and How does it compare to other neighborhoods?, You need to share the ‘soft’ information that only you, as a real estate agent, know. You are the expert and you want to share content that invokes a sense of credibility and trust. It’s also imperative to incorporate keywords and key search terms in a consequential manner within content so that when someone conducts an online search, your material will be the source of information that comes up. Social media is furthermore about two- way communication. You speak to your customers and they speak to you. Customers can ask questions about, comment on and “like” products or services. Informative content (again, this means something that is not an advertising or sales pitch) enables consumers to get involved – it both invites and demands active participation. And, very importantly, don’t forget to have fun with it. Creating great content is very rewarding & fulfilling and it’s amazing just how imaginative you can be! Need help getting started? We can show you how in one of our Social Media for Business workshops. Please visit: http://onlineerealty.com/schedule.php for a schedule. This entry was posted in Blogs, Facebook, LinkedIn, Real Estate, Social Networking, Traffic, Twitter and tagged Blogging, Content, Engagement with Content, Real Estate Professionals, social media, Social Media Content, Social Media for Real Estate. Bookmark the permalink.